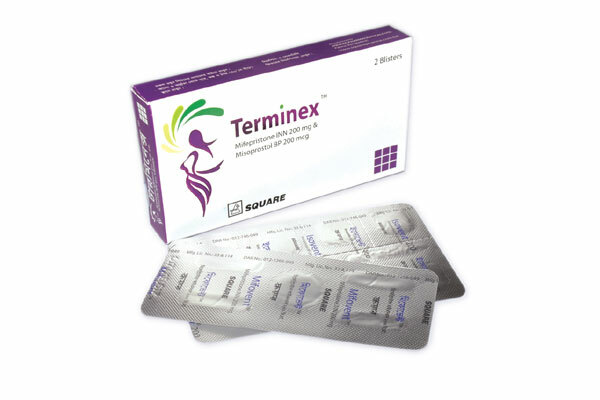 Termination of early unwanted pregnancy up to 63 days (9 weeks). One 200 mg tablet of Mifepristone is taken in a single oral dose. The patient returns to the physician within 24-48 hrs after ingesting Mifepristone. Unless abortion has occurred and has been confirmed by clinical examination or ultrasonographic scan, the patient takes four 200 µg tablets (800 µg) of Misoprostol buccaly or sublingually. Patients will return to a clinic or hospital under the supervision of the concerned physician for a follow-up visit approximately 14 days after the administration of Mifepristone. This visit is very important to confirm by clinical examination or ultrasonographic scan that a complete termination of pregnancy has occurred. Surgical termination is recommended to manage medical abortion treatment failures or as directed by the physician.